How did you get started making bags and accessories? Erica Maree handbags and accessories started while I was living in Merida Mexico. But the ideas and inspirations evolved as soon as I relocated to Mexico in 2008. I was drawn to the vibrant colors and textures of our new surroundings. 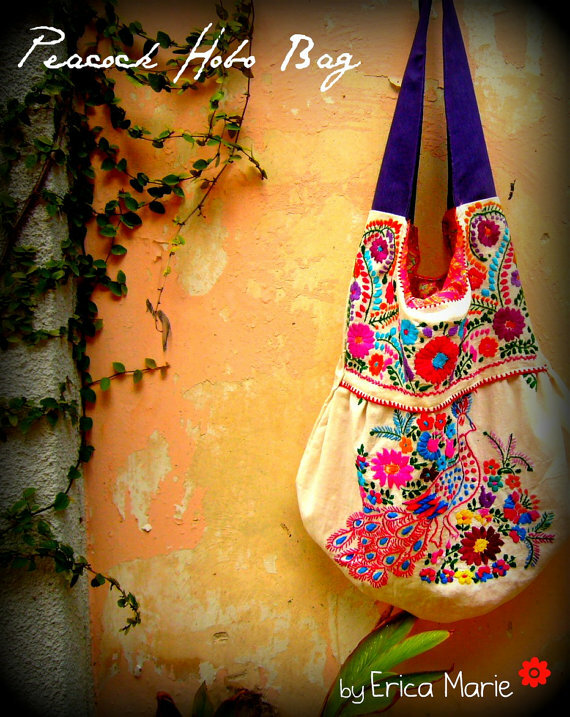 My original design came to life when my daughter grew out of a traditional hand embroidered mexican dress and it became my first handbag…the Merida Hobo Bag. 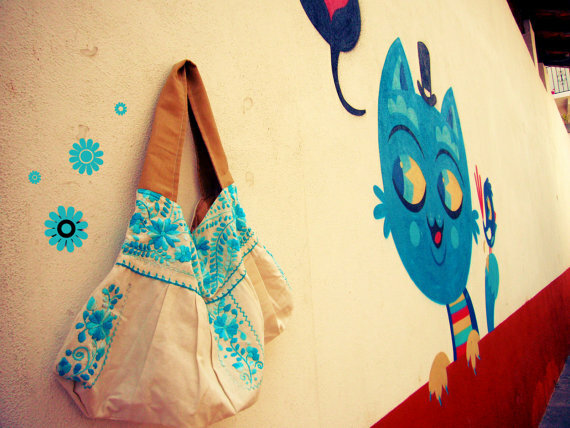 The core material is genuine Mexican hand embroidered items. These embroidery techniques have been around for centuries and handed down through the generations. 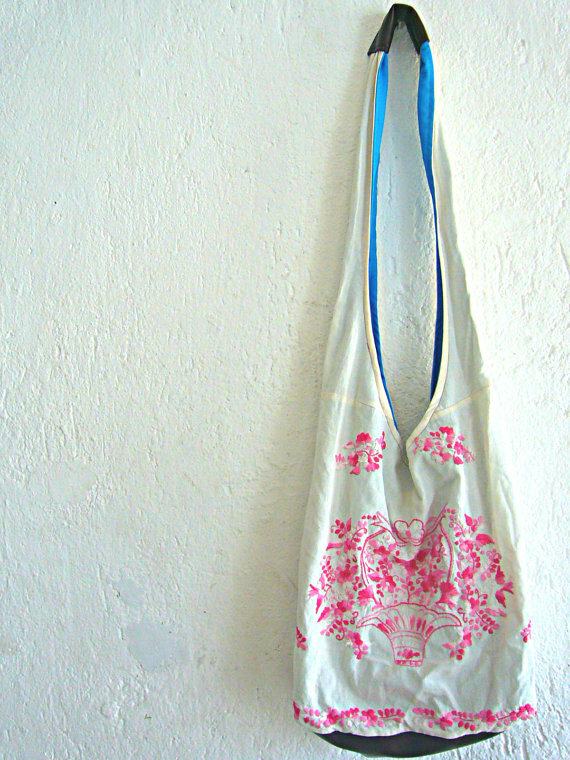 I up-cycle these items into unique fashion forward handbags and accessories for women. Colors, textures, and places that I travel to. Inspirations tend to sneak up on me when I’m least expecting it. That’s’ the moment I love. That “ah, ha” moment in time, when creations and ideas form in my mind. It’s hard to choose a favorite, because I love them all. 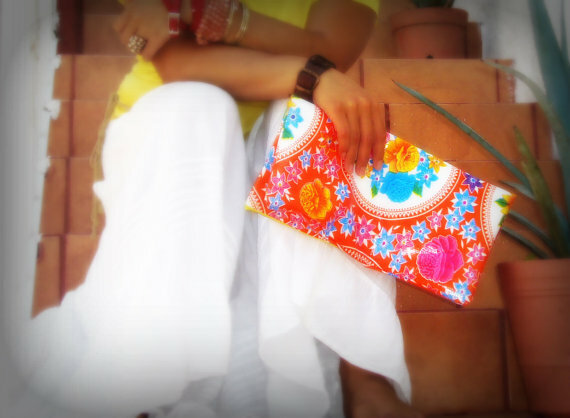 At the present, I’m all warm and fuzzy about the new Sophia fold over clutches made from oilcloth. 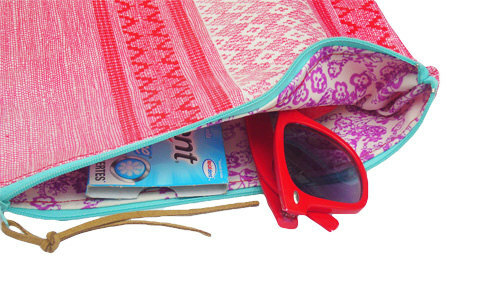 The texture is great and the bright prints are fun and funky! Any thing else about you as an artist and your work? Posted in Featured Handmade Artists and tagged accessories, adornments, art, artist, artists, best of list, boho, boho bags, boho chic, buy local, california, crafts, creation, embroidery, etsy, etsy deal, etsy shop, fashion, for sale, handmade, handmade accessories, handmade bags, handmade gifts, inspiration, los angeles, mexican art, mexico, retail, shop local, sundance, unique, vintage. Bookmark the permalink.